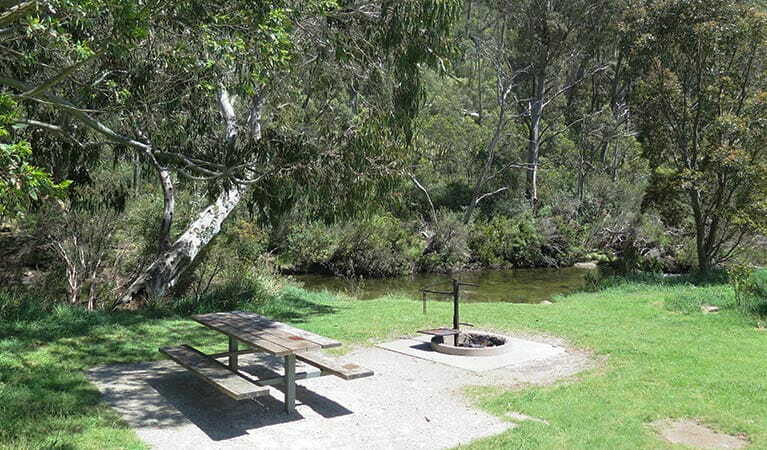 With its peaceful setting on Thredbo River, Ngarigo campground is perfect for groups who want to go riding, fishing, hiking or touring on Alpine Way. Sites are not marked and are not powered. 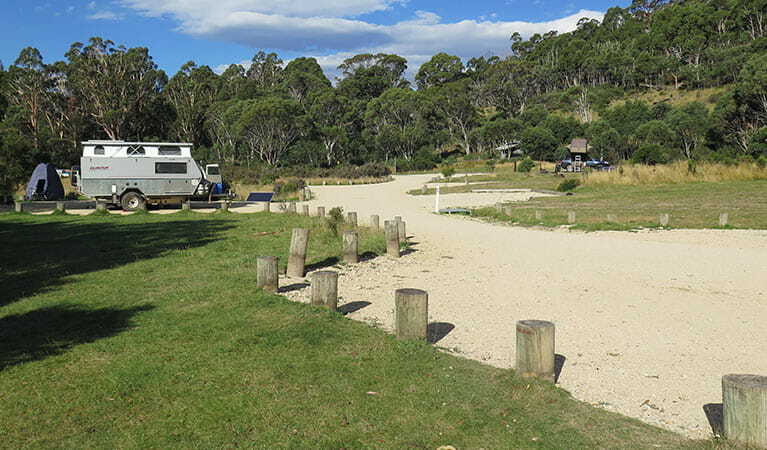 There's limited mobile reception in this part of the park. 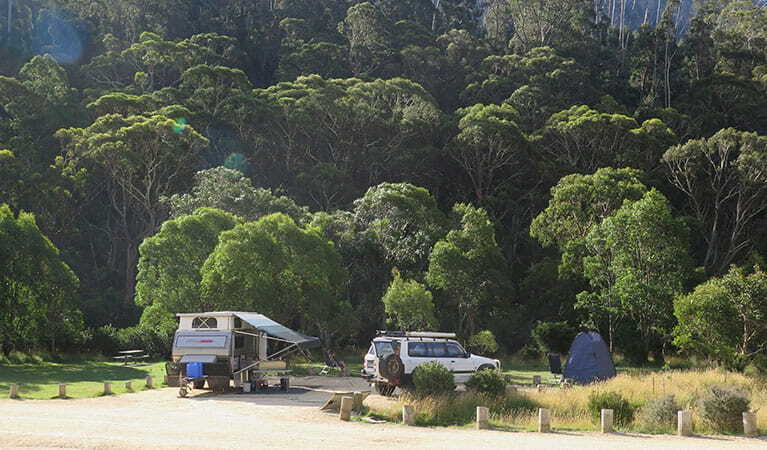 Tall alpine ash forest along the banks of Thredbo River gives Ngarigo campground an incredibly scenic setting that you might not expect just off of one of Kosciuszko National Park’s major roads. 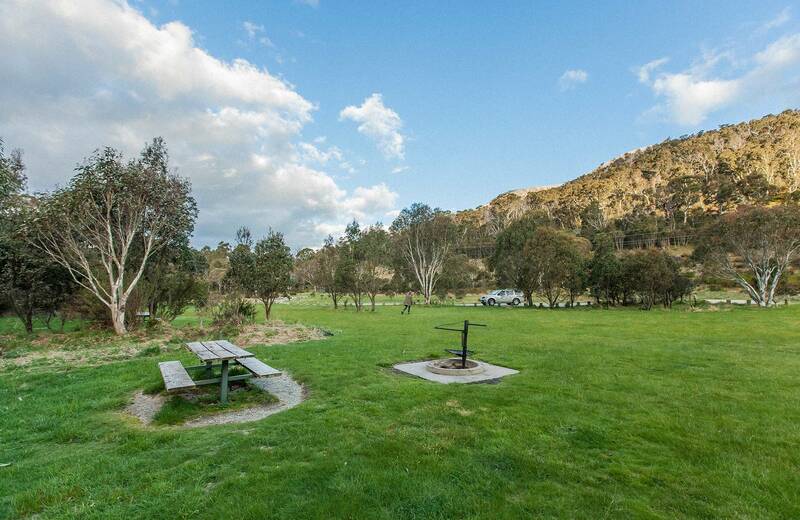 There’s a large, cleared grassy area too that’s perfect for groups. 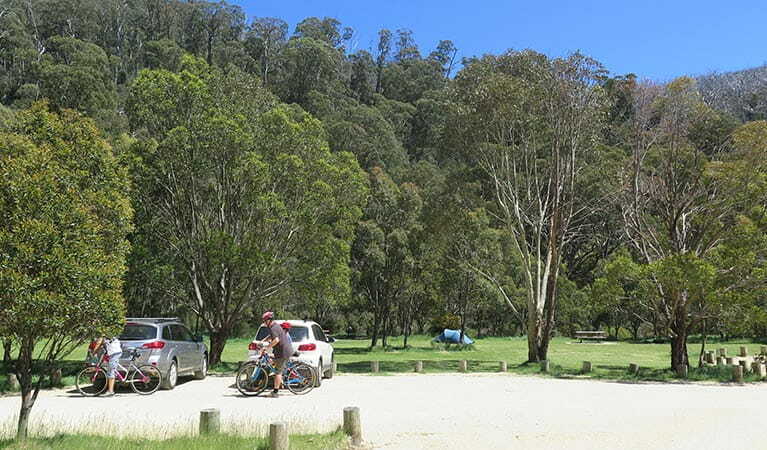 There's plenty to do around Ngarigo. 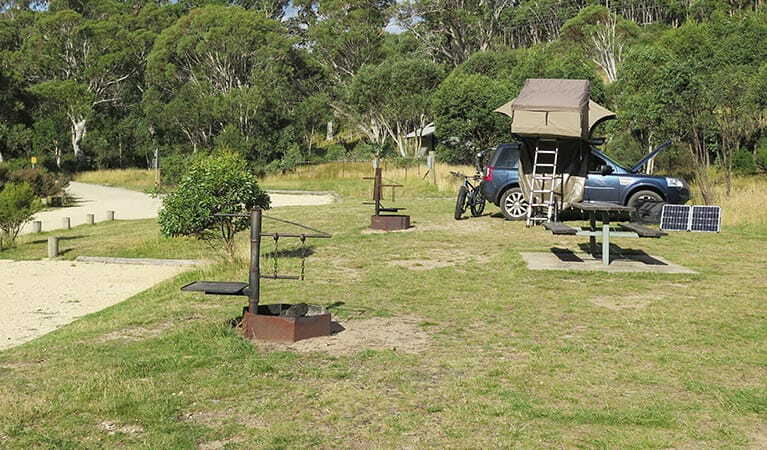 Fly fishing for rainbow and brown trout is very popular along the river. 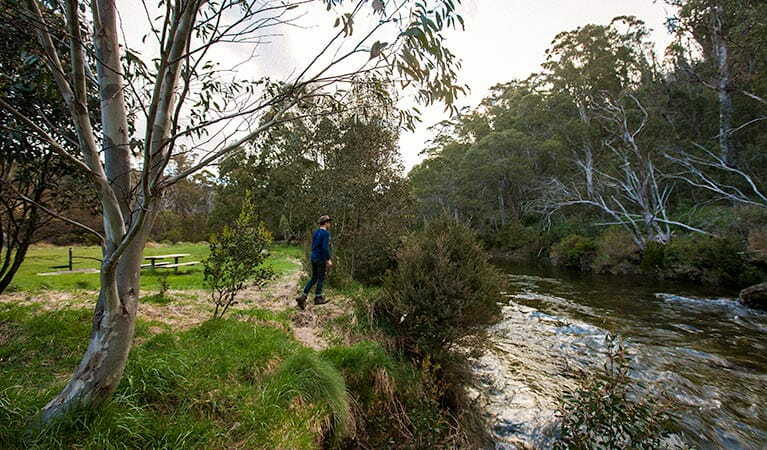 If you’re quiet, you might spy a platypus when you throw your line in early morning or evening. 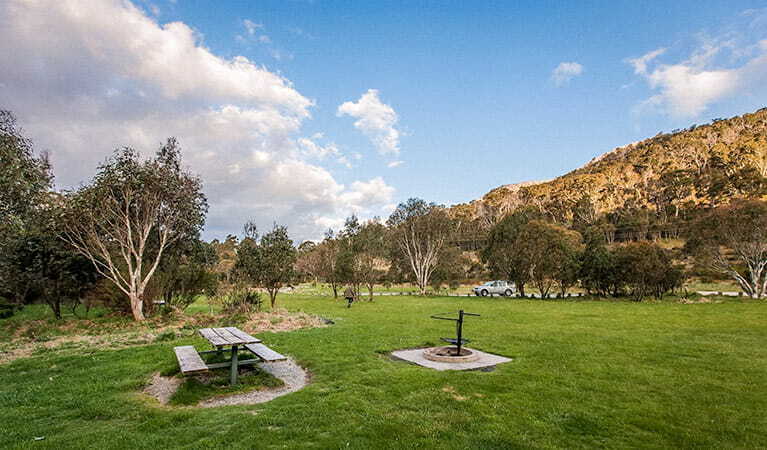 It’s also close to Thredbo Alpine Village and the many trails that offer excellent bushwalking and mountain biking, including Thredbo Valley track and Kosciuszko walk. If you’re not feeling quite so energetic, touring Alpine Way in your car is a great way to see many parts of the park. 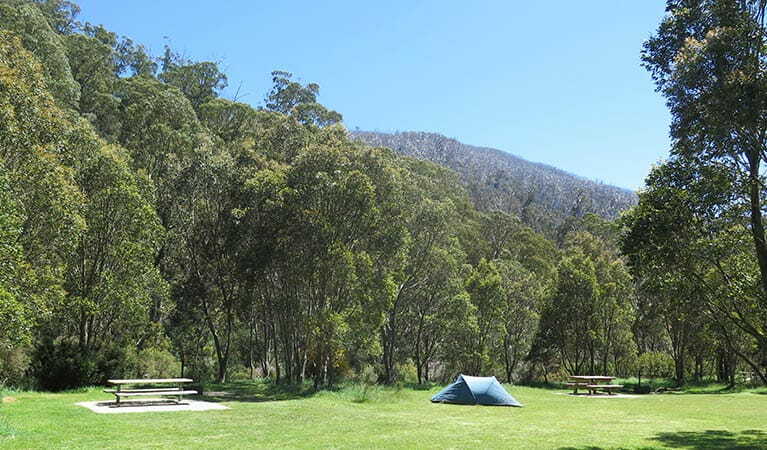 For experienced, well-prepared campers, this can be a good base for skiing, although, as you might expect, it gets very cold.